The purpose of a personal astrology consultation is to facilitate an environment for you to dive deeper into your cosmic nature. I like to help my clients see their unique talents and opportunities, exploring the wider meaning around their individual gifts and circumstances. look at locational astrology and how your current place of residence affects your current experience. You’re welcome to submit as much or as little information ahead of our meeting as you’d like. You are wholly responsible for the recording of your session, which is conducted via Skype. I recommend using the voice memo app on iPhones or testing out a way to record beforehand. We can use video or audio calls. Email Kimberly to get started! 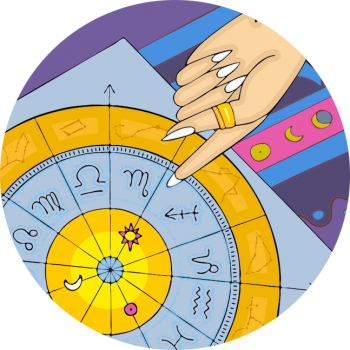 Use the art of astrology as a fun focal point for your next event or gathering. Perfect to accompany a launch party, ladies lunch, bachelorette or festival, I can talk individuals through their personal horoscope or present the styles of the star signs. Offering a deeper look at the zodiac, I can give a light look at the stars, or reveal a much more complex side to the subject. Whether you choose mini readings, an inclusive overview or a group dynamics analysis individual, printed reports can be provided. Email kimberly@starsignstyle.com with details of your event, including location and an estimate of attendees. Note: Kimberly is primarily available In Hong Kong – or keep in touch to hear about travel dates. ﻿You can look up your natal chart absolutely Free Of Charge here. A visual interpretation of the heavens at your moment of birth, this astrological tool reveals the planet’s positions that can be further interpreted by yourself or an astrologer. Provide your time, date and place of birth. Subscribe to the Star Sign Style newsletter for the latest news and offers.